After floods damaged parts of the Midwest this spring, victims have shifted from the mode of saving items to cleaning up, restoring their businesses and receiving assistance from other members of the cleaning industry. For building service contractors assisting those businesses damaged by floods and for others whose companies are in areas that have high potential for flooding, several national organizations have created Web sites geared to help in safe and sanitary flood cleanup. As a building service contractor, Ken Galo of L&K Office Cleaning and Janitorial Services, Brookfield, Wis., notices a spike in business when something such as a flood occurs. National organizations have taken the time to establish guidelines for workers cleaning the flooded areas to follow. The Environmental Protection Agency Office of Air and Radiation released, “Flood Cleanup: Avoiding Indoor Air Quality Problems,” a fact sheet detailing how workers cleaning a flooded area can avoid microorganisms like bacteria and mold. The fact sheet was made in conjunction with the Federal Emergency Management Agency/Red Cross booklet. Workers are given tips on the correct way to dry out a facility, remove standing water, and avoid problems from using cleaners and disinfectants. To further help workers avoid the dangers that goes along with the cleanup, the National Institute for Occupational Safety and Health (NIOSH) has created a flood cleanup site. The site specifies hazards prevalent in flood cleanup, prevention measures BSCs can follow, and how to avoid health risks commonly associated with flood recovery. In other efforts, the Occupational Safety and Health Administration (OSHA) offers two different tutorials on flood cleanup. At www.osha.gov, Assistant Secretary of Labor for Occupational Safety and Health, Edwin G. Foulke Jr. recorded a radio actuality that helps listeners understand the importance of safety during flood recovery. The program gives listeners a toll-free telephone number to call and learn more about the hazards associated with flood recovery. OSHA also created a flood recovery page that has links to over 40 fact sheets in English and Spanish. The sheets contain tips on hazards such as downed electrical wires, chain saws, general decontamination and heat and sun. Galo makes sure his employees follow similar procedures when cleaning a water-damaged facility. While national organizations have stepped forward to establish guidelines in flood cleanup, some companies have lent a hand in other ways to assist flood victims. Kimberly-Clark Professional has donated supplies to assist cleanup efforts in Cedar Rapids, Iowa, and Columbus, Ind. Doug Kyle, general manager for Bunzl in Kansas City, Mo., has gone to manufacturers and asked them to match the donations Bunzl has put up for the flood victims. The company partnered with the non-for-profit organization Gifts in Kind International to get cleaning supplies and Bunzl has donated the service of free delivery of all the products, says Kyle. The ISSA Foundation has gotten in on the act, also partnering with Gifts in Kind to collect gloves, goggles, N-95 masks/respirators, trash bags, cleaning supplies and cleaning tools for flood victims. The ISSA/INTERCLEAN® Innovation Award 2008 winner announced at ISSA/INTERCLEAN Amsterdam is: Ultra Clean Ltd. for the product, UltraClean. The award is judged on various criteria, such as originality, impact, practicality, durability, health/ergonomics, environment and profitability. 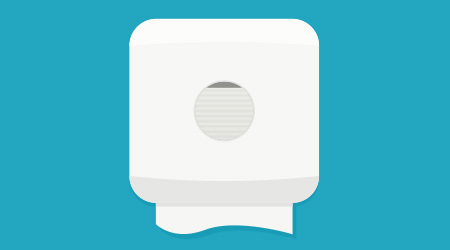 UltraClean is a patented no-touch towel dispenser with an internal self-laundering system. During working hours it operates as an automatic no-touch linen towel dispenser. Then at any pre-programmed time, it provides full laundering services: it soaks and washes in clean hot water than brushes, sanitizes and dries the towel. Satino for the product: Satino Towelex Nominees Over 70 entries were submitted for the award, of which a shortlist of nine were highlighted. Pancomp Electronics Oy for: PANCOMP Building Site Cleaning Management Tool. was named president of the Eastern Division for Marsden Holding LLC, Marysville, Ohio. Packee will continue to serve as president of CleanPower, Milwaukee, while undertaking the additional job duties. named SCA Tissue North America, Philadelphia, to the 2008 World’s Most Ethical Companies list. The institute reviewed more than 5,000 companies and recognized 95.